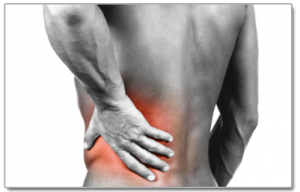 Millions of people suffer each year from different types of back pain. Whether you work in an office, perform labor intensive tasks, or stay at home with the kids, you are at risk for low back pain. A wrong twist, turn, or movement is all it takes to bring serious pain to your lower back. As the disks that separate your vertebrae lose fluid and flexibility, the cushioning separating the vertebrae decreases, and the chances of lower back pain increase. Many things can contribute to the causes of your lower back pain, so it is important to come in for an exam so we can determine the best course of action. With regular chiropractic adjustments, we can keep your lower back pains to a minimum. Using a wide variety of techniques, we will create the best long term solution to relieve your of your lower back pain. Call us today and schedule your first consultation!